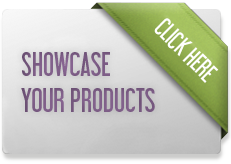 Showcase your products in this section: dealers and importers from all over the world visit it daily and they will contact you directly. Ningbo Runyes Medical - Runyes——Looking for Global Partners! WR Rayson - Make Your Mark with WR Rayson Export Ltd.
Imicryl - IMICRYL DENTAL has been manufacturing for 30 years. Mid-Continental Dental Supply Co. Ltd. - Renew Cleaning Products from Mid-Continental Dental Supply Co. Ltd.
MaCo Dental Care - MaCo Dental Care is creating its own digital future. Galbiati - Galbiati Milano flies to innovation with SCOUT, the new dental unit “Innovation is everything”. BMS Dental Srl - STERIL MAXIMUM Class B autoclave designed and manufactured according to EN13060. Trate - Increase profitability of your business! Owandy - Take one step closer to the future with the I-MAX 3D! Medesy - GAMMAFIX, ENJOY THE NEW COLORS! Bilkim Ltd - BILKIM LTD. Co.
Trate - TRATE AG company. Owandy - Take the 3D plunge with I-MAX 3D! MDT Micro Diamond Technologies Ltd. - MDT® Micro Diamond Technologies Ltd.
Exaktus - Become an exclusive distributor of a company with a unique concept in implantology! Biotech Dental - SMILERS: TRANSPARENT ALIGNERS AT THE HEART OF YOUR ACTIVITY! Schuetz Dental - Just one layer to create a "bionic restoration"
Kemdent - Kemdent Modelling Wax puts the icing on the cake!